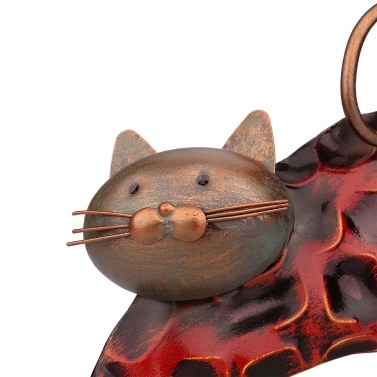 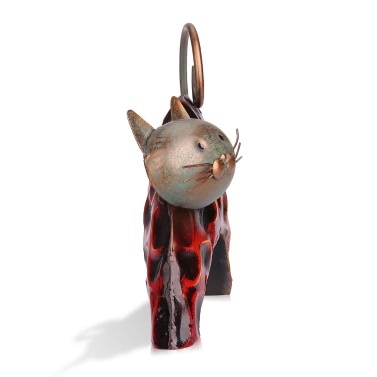 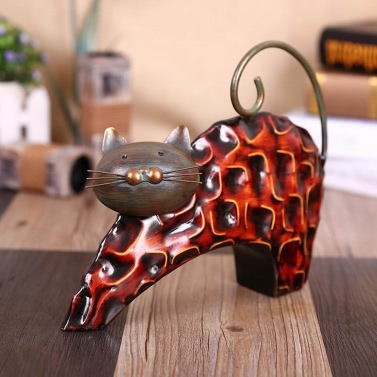 This is a stretching metal cat sculpture looks very relaxed. 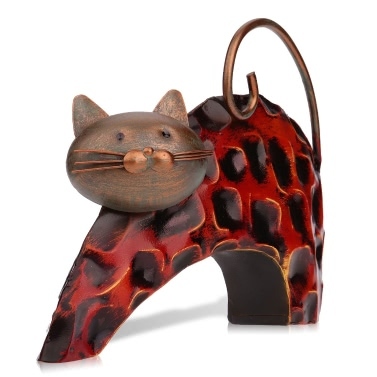 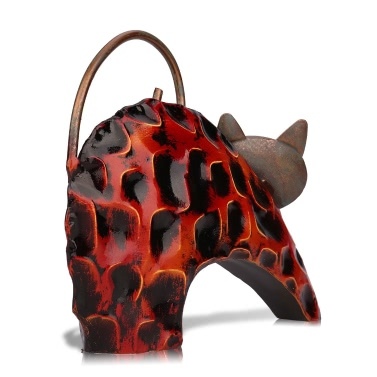 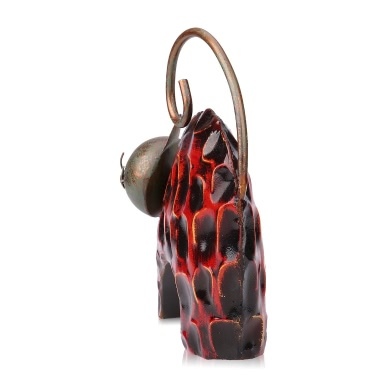 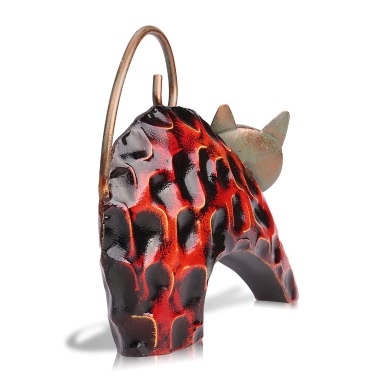 It is handmade by the craftsman with a variety of iron art molding methods. 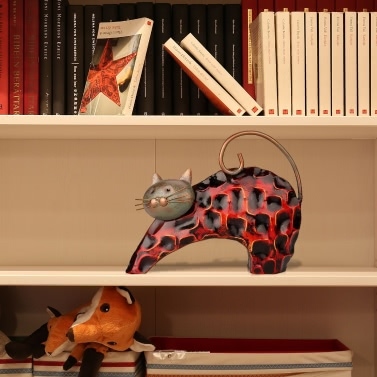 It looks concise and elegant, the beautiful and environmental backing paint ensures that the sculpture is stainless and makes the paint uneasy to peel off, the unevenly carved stripes show great craftsmanship and great product quality.